Géza Maróczy (Hungarian pronunciation: ; 3 March 1870 - 29 May 1951) was a leading Hungarian chess master, one of the best players in the world in his time. He was also a practicing engineer. Géza Maróczy was born in Szeged, Hungary on 3 March 1870. 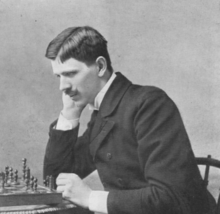 He won the "minor" tournament at Hastings 1895, and over the next ten years he won several first prizes in international events. Between 1902 and 1908, he took part in thirteen tournaments and won five first prizes and five second prizes. In 1906 he agreed to terms for a World Championship match with Emanuel Lasker, but political problems in Cuba, where the match was to be played, caused the arrangements to be canceled. After 1908, Maróczy retired from international chess to devote more time to his profession as a clerk. He worked as an auditor and made a good career at the Center of Trade Unions and Social Insurance. When the Communists came briefly to power he was a chief auditor at Educational Ministry. After the Communist government was overthrown he couldn't get a job. He did make a brief return to chess after World War I, with some success, and today the Maróczy bind (see below) bears his name. At the turn of the year 1927/8, he demolished the 1924 champion of Hungary, Géza Nagy, in a match by +5−0=3. 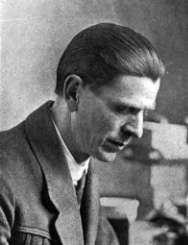 With him at the head, Hungary won the first two Chess Olympiads in London (1927) and The Hague (1928). In 1950, FIDE instituted the title of Grandmaster; Maróczy was one of several players who were awarded the title based on their past achievements. Maróczy's style, though sound, was very defensive in nature. His successful defences of the Danish Gambit against Jacques Mieses and Karl Helling, involving judicious return of the sacrificed material for advantage, were used as models of defensive play by Max Euwe and Kramer in their two-volume series on the middlegame. Aron Nimzowitsch, in My System, used Maróczy's win against Hugo Süchting (in Barmen 1905) as a model of restraining the opponent before breaking through. But he could also play spectacular chess on occasion, such as his famous victory over the noted attacking player David Janowski (Munich 1900). His handling of queen endgames was also highly respected, such as against Frank Marshall, from Karlsbad 1907, showing superior queen activity. The Maróczy bind is a formation White may adopt against some variations of the Sicilian Defence. By placing pawns on e4 and c4, White slightly reduces his attacking prospects but also greatly inhibits Black's counterplay. Maróczy had respectable lifetime scores against most of the top players of his day. But he had negative scores against the world chess champions: Wilhelm Steinitz (+1−2=1), Emanuel Lasker (+1−4=2), José Raúl Capablanca (+0−3=5) and Alexander Alekhine (+0−6=5); except for Max Euwe whom he beat (+4−3=15). But Maróczy's defensive style was often more than sufficient to beat the leading attacking players of his day such as Joseph Henry Blackburne (+5−0=3), Mikhail Chigorin (+6−4=7), Frank Marshall (+11−6=8), David Janowski (+10−5=5), Efim Bogoljubov (+7−4=4) and Frederick Yates (+8−0=1). Concerning the relative strength of Maróczy and the best young masters of today, my opinion is that, with the exception of Botvinnik and Keres, Maróczy in his time was superior to all the other players of today.